There are 4 shades in the range; Peachy Cheeky, Pinktastic, Passion Pink and Rich Rose and they retail for £3.95 each (though I picked them up in the 50% off sale). Obviously I don't own MAC's Stereo Rose, but Rich Rose is said to be a dupe of it, and therefore is the shade that you'll see a lot on beauty blogs and is the one that always sells out first. 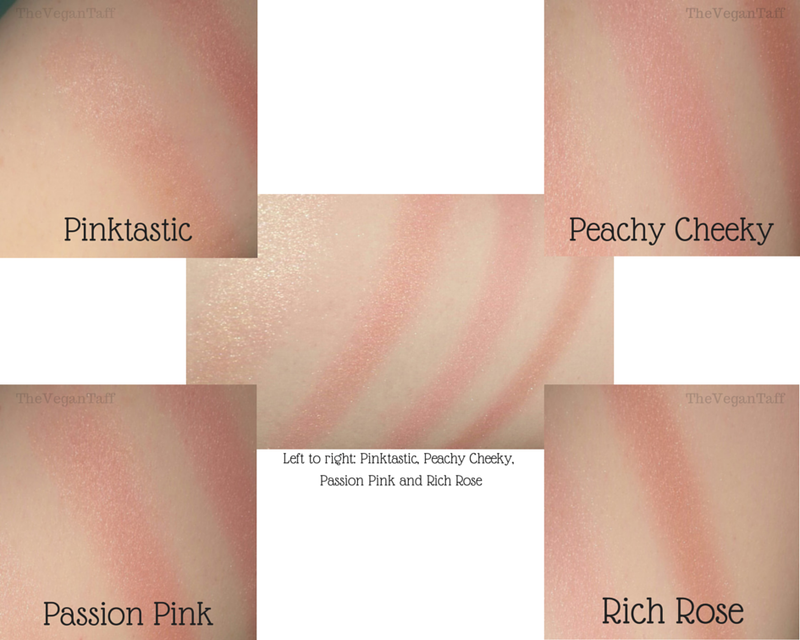 Even though all 4 are labelled as blushes, I think only 3 really are able to be used that way, Pinktastic is definitely a highlighter not a blush. If you were to wear this in the same way you would a blush, you'd look like an extra from Twilight! I have very fair, cool toned skin, and if it's way too light for me I really don't see it being suitable as a blush for many people at all, if any. Having said that, it is my favourite of the 4, and really does make a beautiful champagne/pink highlighter. I love the marbling on these blushes, they have beautiful veining which reminds me of raspberry ripple ice cream. That marble effect makes sure that each time you swirl your brush in the product you get a multi-toned colour that leaves you with a beautiful, healthy glow. 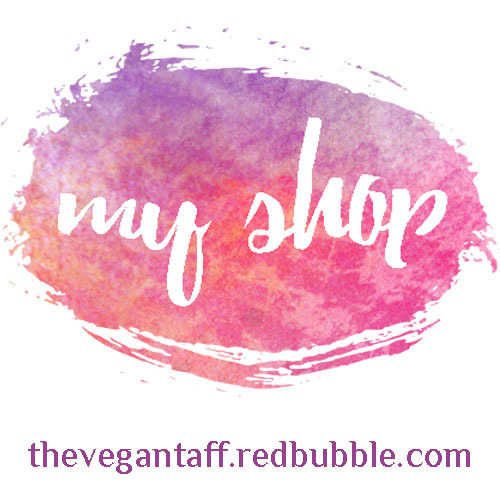 As the veining will be different in every baked blush, every swatch you see will be slightly different, and I love that; you can honestly say that for just £3.95 your blush is one of a kind. There is most certainly some shimmer in these, but it's not chunky glitter that looks over done or too fake. I usually gravitate towards matte blushes, but over the summer I found a few shimmer ones that I really enjoyed using, and these are right up there with the best of them. 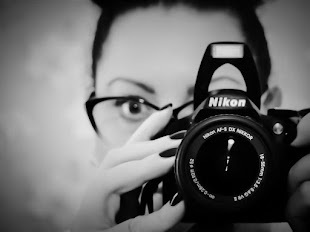 As you can see, it looks as if I've barely touched my 4, even though they got a lot of use, so they'll last a while. 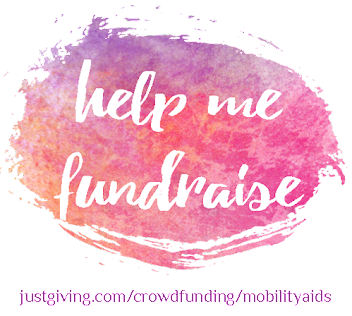 The wear time is pretty good, blushes never last all day on me, I'm lucky if I can get a few hours out of one, but these last 4 or 5 hours without the need to re-apply, and when I use Pinktastic as a highlight, that really does stay put. The only thing I dislike about these, and it's not even about the product, is that there is no shade name anywhere on the packaging. Once you dispose of the box there is no way of telling which is which. I've had to look at lots of pictures online and try and match them up the best I can. I think I have them all in the correct order, but I apologise if I don't. 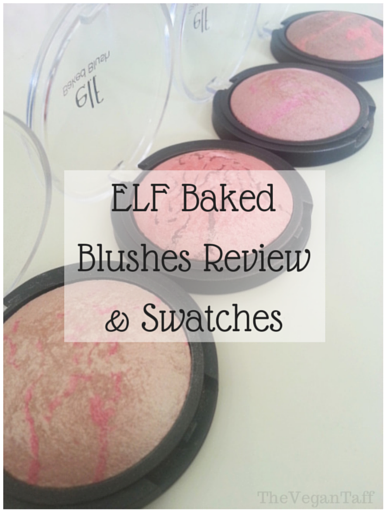 Over all, I'm really impressed with the ELF Baked Blushes; the colours are natural and give a lovely glow, they're easy to use and you can easily pick product up with either a brush or your fingers. 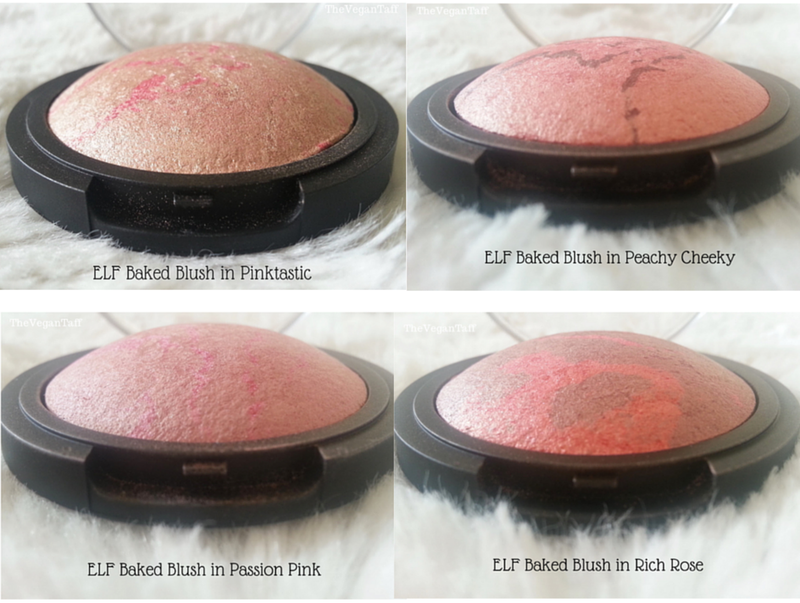 ELF Baked Blushes are available online here for £3.95. Have you tried any of the ELF baked range, what's your favourite?